I am so pleased with our family photos. 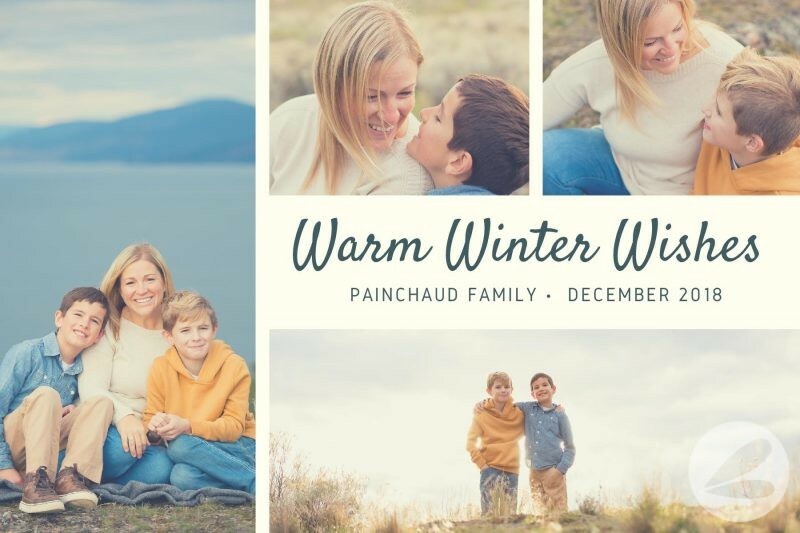 We hadn’t had family photos taken in about five years and I knew that it was beyond time to capture my little fam jam on camera. 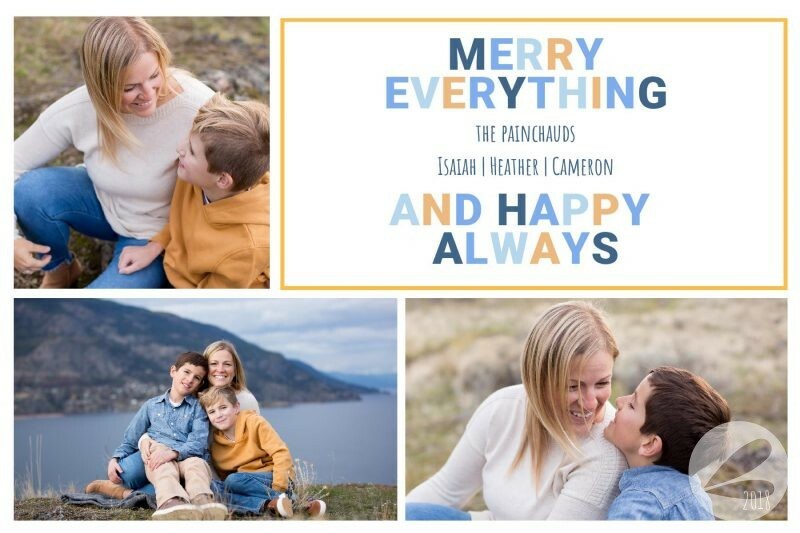 I can’t say enough about the incredible job that Cassandra at Candid Apple did in photographing the boys and I. Cameron had a really tough time managing his behaviour for this shoot and was full of silly faces and shenanigans. I was quite worried that we wouldn’t get many good photos to work with. Cassandra calmed my fears by sending me a sneak peek just days later. I love that about a photographer!! And clearly we had so many awesome photos to work with! 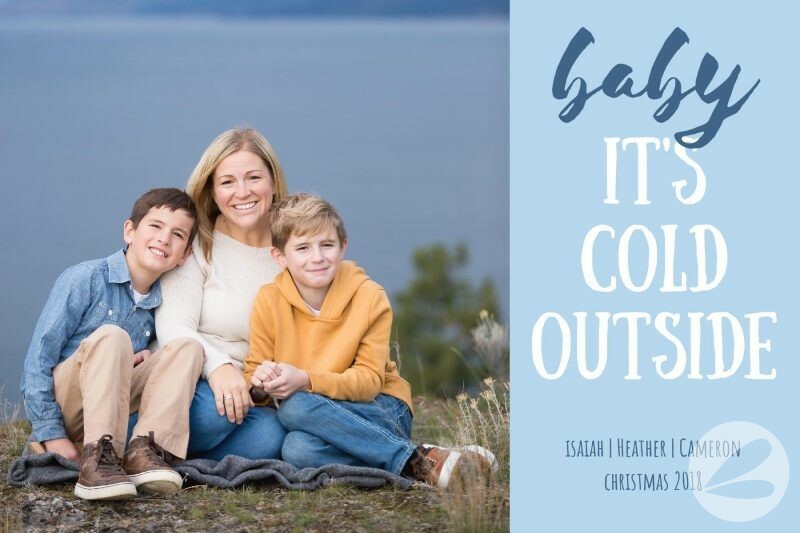 My friend Lindsay at Lindsay & Co. encouraged me to use and explore Canva this year. So I have been! I friggin’ love this photo editing program. Especially for creating templates that can easily be edited over and over again. 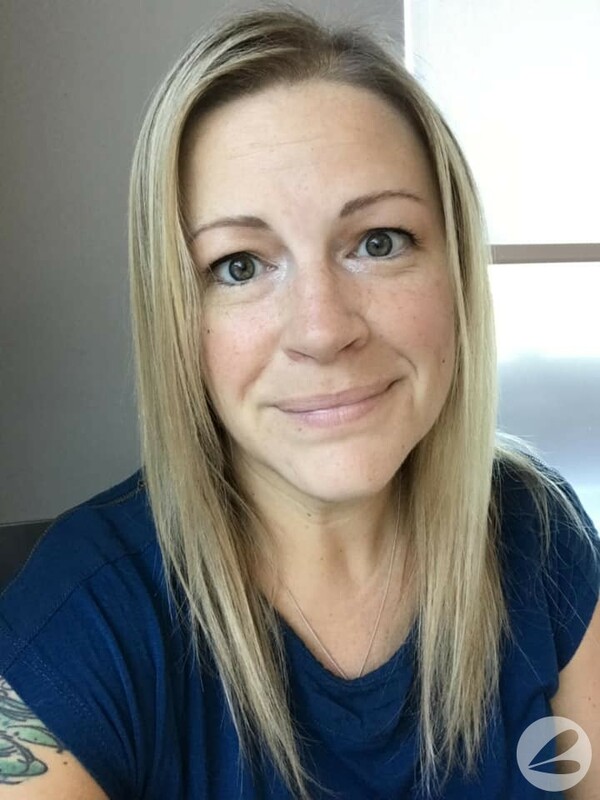 I use Canva for all of my Pinterest and Instagram images now. 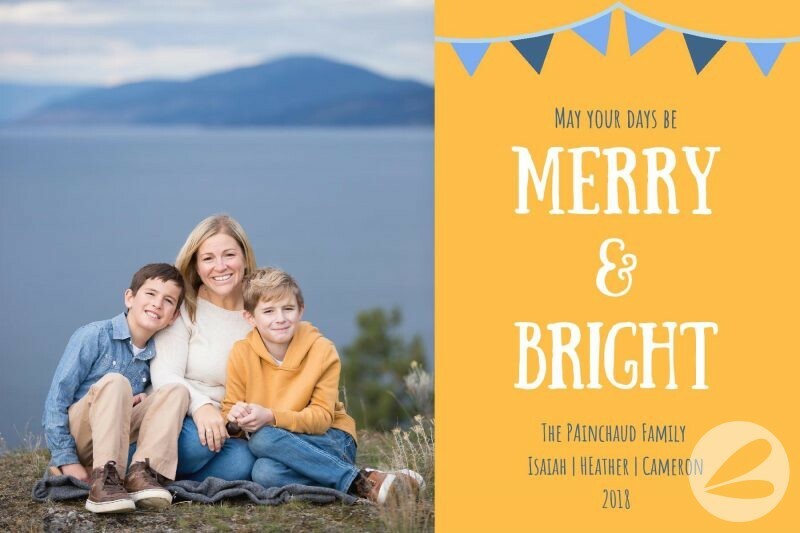 So I thought, why not try to make my own Christmas Card Photo Templates this year?! So that’s just what I have done! 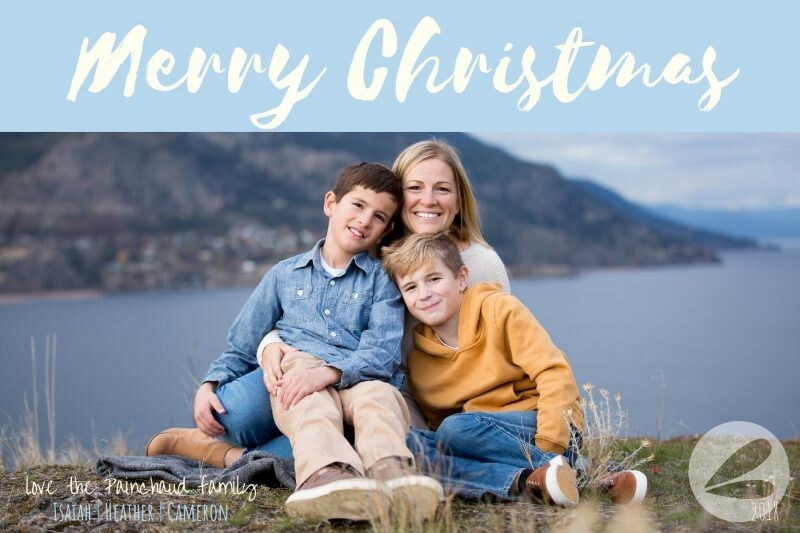 Using free templates and a 4×6 photo format I have created seven Christmas Card Photo Templates for you to use. All you need to do is.. 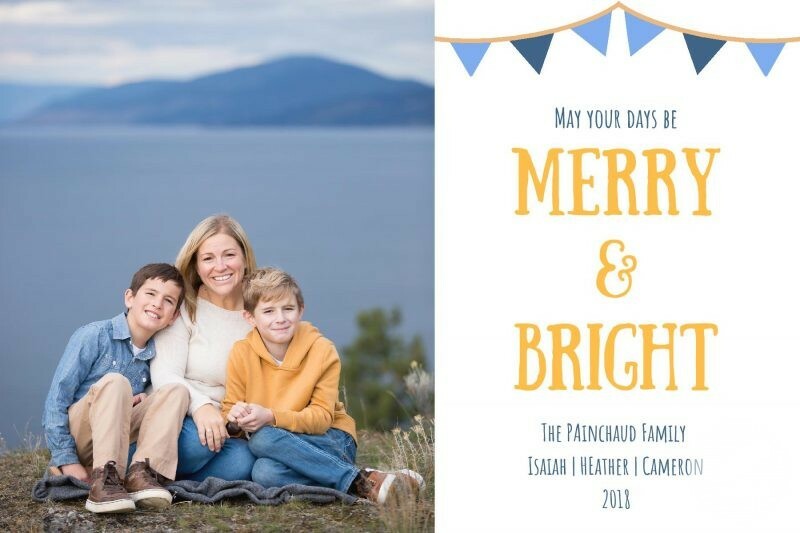 Grab the link to the FREE Christmas Card Photo Templates. 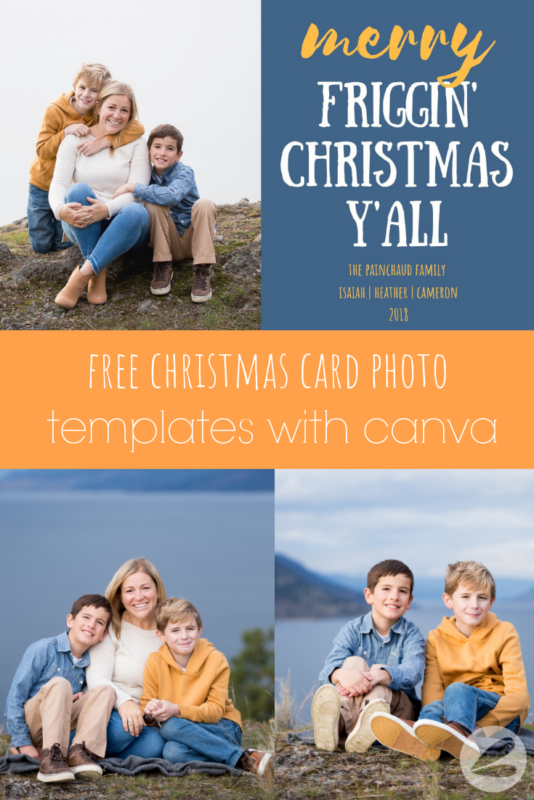 Upload your photos to Canva. Edit the font, sentiments and colour scheme as you desire. 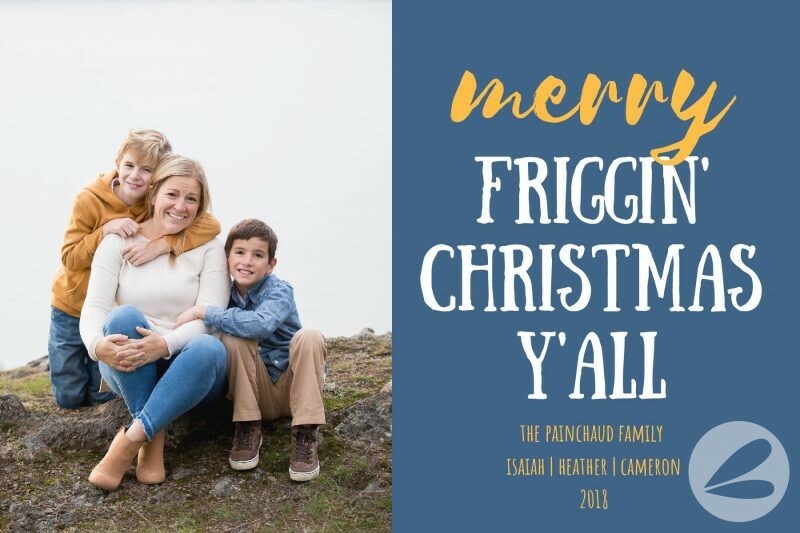 Save your Christmas Card image and print off using your printer of choice (I send mine to Walmart Photocenter). 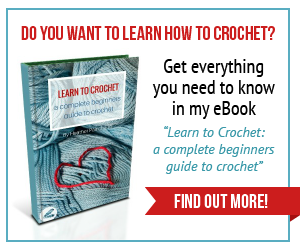 This process will be very straight forward and simple for those of you who are already familiar with Canva. If you are not, I encourage you to play around within the program and access the “help” feature if you have any questions about editing these templates. That’s it my friends!! Enjoy and please, please, please share your creations with me? !